The No. 5 Alberta Golden Bears host the No. 8 Thompson Rivers WolfPack this weekend. Both teams are going into this series with some momentum as the 9-1 Golden Bears are on a five-game win streak, while the 7-1 WolfPack have won every game since dropping their season opener. PREVIEW: 9-1 Bears battle 7-1 @GoTRUWolfPack, while 8-2 @PandasVB host 4-6 Wolfpack in a final weekend matchup of 2018. It should make for an interesting matchup between Canada West’s top squad and its current hottest team. Catch the first game Friday night at 8:00 p.m. ET / 5:00 p.m. PT and the second game on Saturday at 8:30 p.m. ET / 5:30 pm PT on CanadaWest.TV. The No. 2 Trinity Western Spartans host the No. 1 Calgary Dinos this weekend for a two-game series between unbeaten squads. 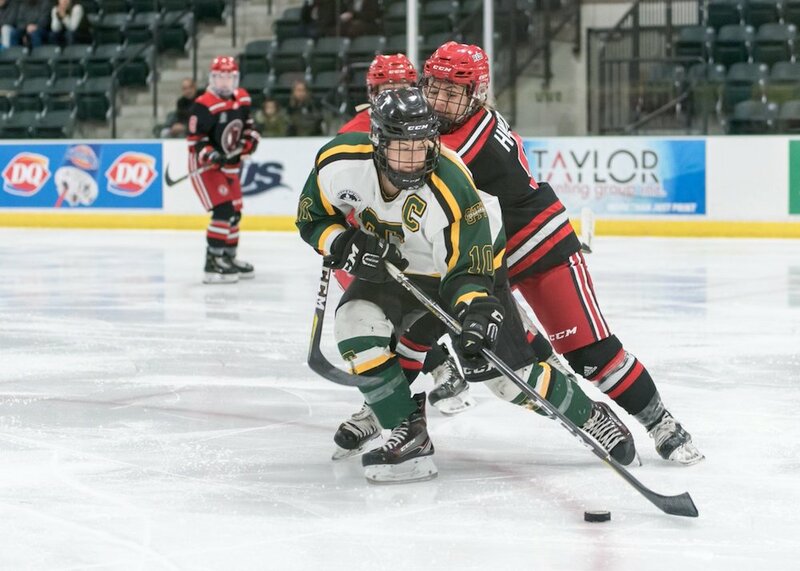 The Spartans are coming off of a bye, after a 3-1 win against the Saskatchewan Huskies on Nov. 17, while the Dinos had a dominant series sweep against the Manitoba Bisons last week, beating them 3-0 in both games. Calgary has won their past four matches but the Spartans are leading the Dinos in kills and blocks this season. Catch the first game Friday night at 9:30 p.m. ET / 6:30 p.m. PT and the second game on Saturday at 8:30 p.m. ET / 5:30 p.m. PT on CanadaWest.TV. The No. 1 UNB Reds hit the road to take on the No. 6 Saint Mary’s Huskies Friday night followed by the Acadia Axemen on Saturday. The 13-0-3 Reds are coming off a 6-1 win against the 5-2-9 Axemen, also collecting 1,295 teddy bears in their third annual Teddy Bear Toss game. 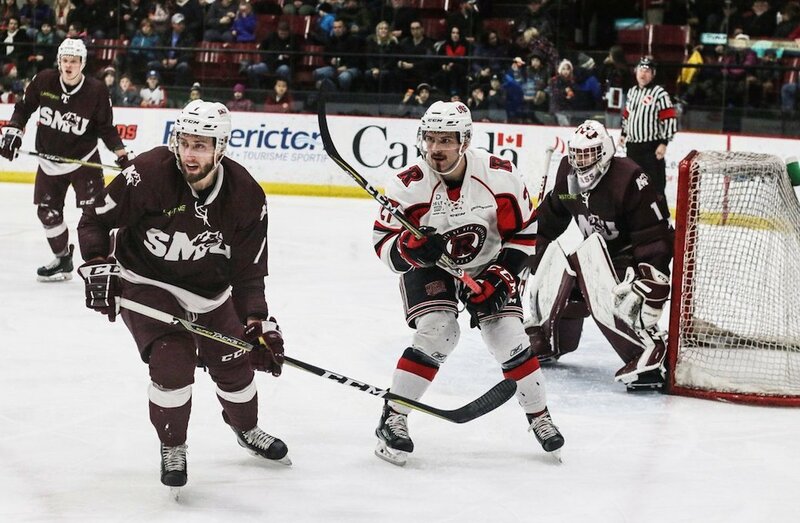 The 11-5-1 Huskies, on the other hand, fell 4-3 to the UPEI Panthers that broke their four-game win streak, which included a 4-3 OT win against the Reds. Puck drop for both games goes at at 6:00 p.m. ET / 3:00 p.m. PT on AUStv.ca. The No. 6 St. Thomas Tommies host the No. 8 StFX X-Women on Friday in their final game of 2018. The 12-2-0 Tommies are on a hot streak, winning their past nine games, most recently beating the UNB Reds 2-1. The X-Women are also coming into this game with some fire, winning their past four games, the last being a 3-1 win against the Saint Mary’s Huskies. StFX won the previous meeting with St. Thomas this season 2-0, courtesy of a pair of second period goals from Lea MacLeod and Sarah Bujold. Tune in at 6:00 p.m. ET / 3:00 p.m. PT tonight on AUStv.ca. The No. 3 Calgary Dinos play a home-and-home series against the Lethbridge Pronghorns this week – with the first game coming on Thursday night at Lethbridge. The Dinos will be back on home court on Saturday to wrap up the first half of their season. Last year, the two teams split the series, with the Pronghorns taking the first game 91-89 in overtime and the Dinos returning the favour 97-71 in the second contest. Catch the second game of the series on Saturday at 9:00 p.m. ET / 6:00 pm MT on CanadaWest.TV. The No. 2 Ryerson Rams are headed to Thunder Bay to take on the recently-ranked No. 10 Lakehead Thunderwolves. The Rams remain undefeated this season at 9-0, while the Thunderwolves have only given up one loss at 7-1. Last year, the Rams claimed an 81-62 win. 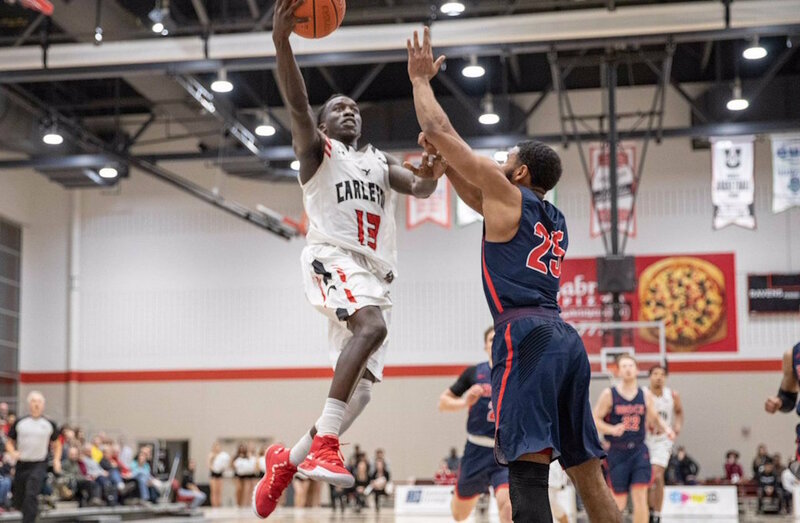 But having recently entered the Top 10 and recently beating the defending national champion Carleton Ravens, the Thunderwolves will look to hand the Rams their first loss of the year. Catch the game on Friday at 6:00 p.m. ET / 3:00 p.m. PT on OUA.tv.